N4L offer all software free of charge via an online download which can be found in the downloads section of the website. 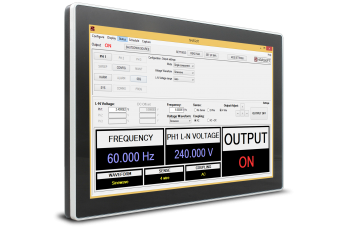 Our software suites include power analysis data acquisition/graphing software, frequency response analysis graphing/database creation software as well as IEC61000 Harmonics and Flicker test software. Further to this we have developed a specialised standby power analysis software package which is compliant to the latest EN50564 test standards. 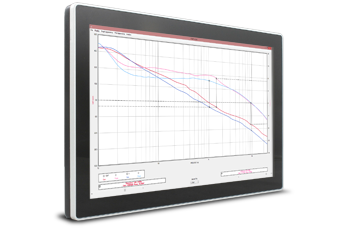 PPALoG is a flexible high performance data acquisition program designed specifically for the N4L PPA series of power analyzers. The software drivers are tuned to communicate with the N4L power analyzer efficiently at high speed. PPALoG is capable of communicating with the PPA at intervals as low as 10ms. It is worth noting that the 10ms interval is the rate at which computed results (utilising a 1Ms/s or 2.2Ms/s sampling rate) are returned, PPALoG offers true real time no gap high speed data logging with no missing data. 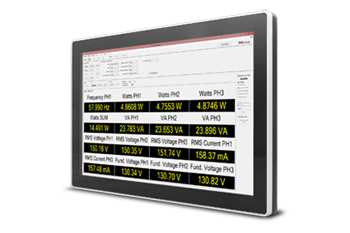 IECSoft is a complete software suite dedicated to IEC61000 EMC testing, IECSoft provides an intuitive user interface for the engineer which enables comprehensive analysis of results. 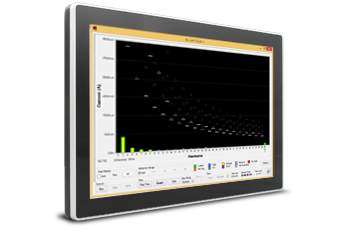 The harmonics and flicker EMC test standards are complex and data acquisition and reporting software is often difficult to interpret, IECSoft utilises a colour coding notification system which is updated in “real time” to provide graphical feedback to the user of the current pass/fail parameters of the test device. This approach, coupled with a comprehensive report exporting function provides any EMC test lab with everything they need for compliant, fast, reliable and accurate compliance testing. A complete IEC61000 test system consists of a PPA55x1, IMP Impedance Network and N4A AC Source. Each individual component of the test system can be purchased separately and added to an existing system. N4L have developed a convenient automated software package that feature all of the EN50564 test limits for standby power software testing. Combined with the accuracy provided by any of the PPA5500(10A & 30A), PPA4500(10A & 30A), PPA1500(20A & 30A) and PP500(20A & 30A) units N4L are able to provide a fully compliant standby power test solution. N4L have developed a convenient automated software package that includes complete remote control of the source, harmonic synthesis, scheduling mode, colour screen dump and more. N4ASoft <1Mb C++ win32 API N4ASoft will enable the user to have a complete interface between a PC and AC source for remote control.